Unlike Christmas morning, moving day is usually associated with the anticipation and sheer dread that goes along with the day’s activities. Luckily, October 14, 2011 was the opposite. 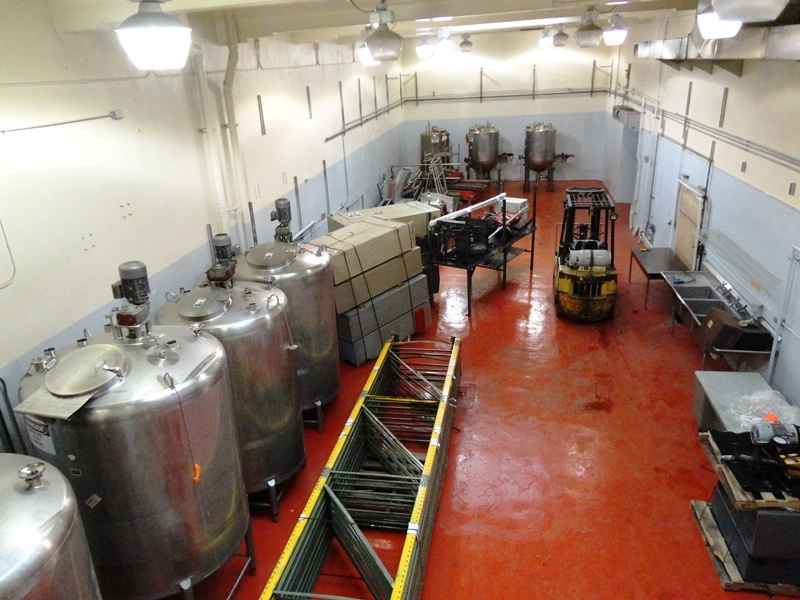 The day the majority of our still house equipment was delivered and moved into the distillery was preceded by the anticipation of a kid on Christmas Eve. It was a particularly cold morning for October as I anxiously awaited my equipment’s arrival. Thanks to the guys from Omega Morgan and Nelson Trucking I didn’t have to wait long. The only thing more exhilarating than a few sips of whiskey on a cold day was the sight of two 53′ semi-truck trailers hauling my equipment. It took three skilled professionals five hours to unload everything safely and another five hours to place the equipment inside. Luckily the day stayed dry and we were energized by an excellent lunch from Calamity Jane’s, a Georgetown favorite. 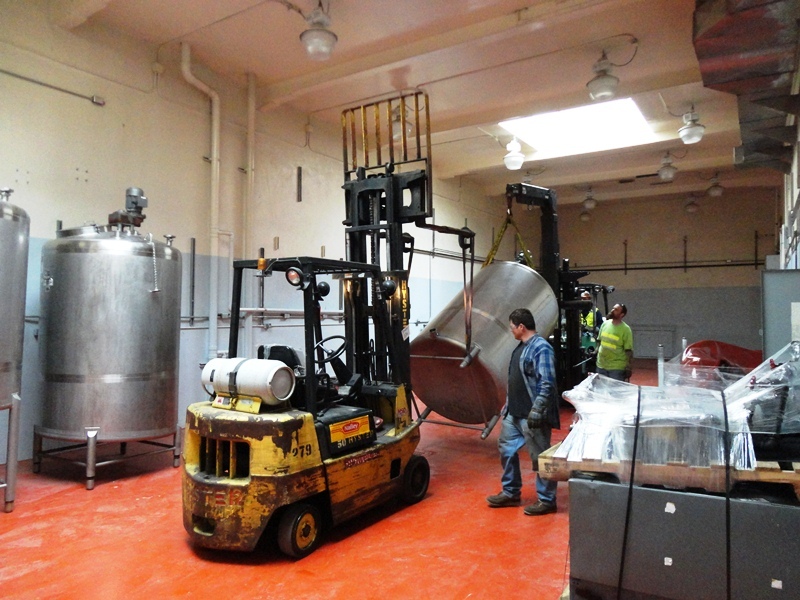 The crew unloading my tanks. 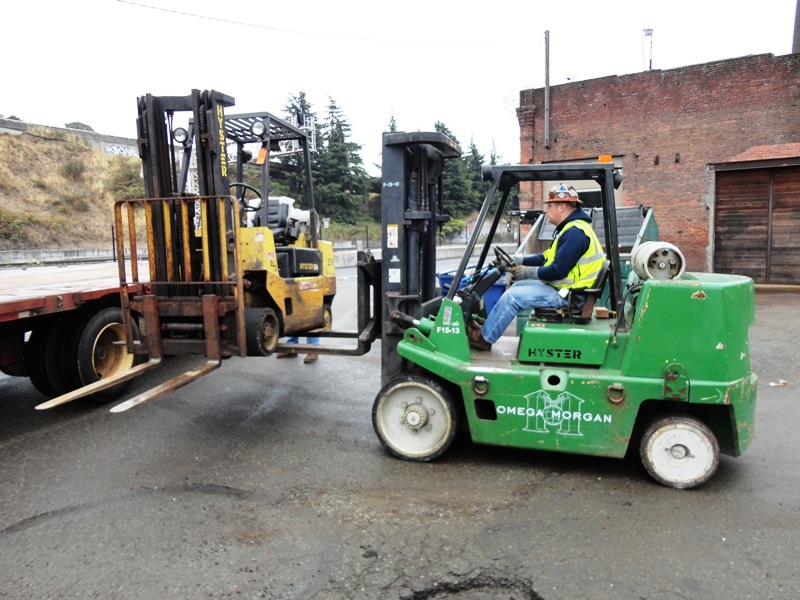 This is my new forklift. Quite possibly my favorite distillery purchase thus far. 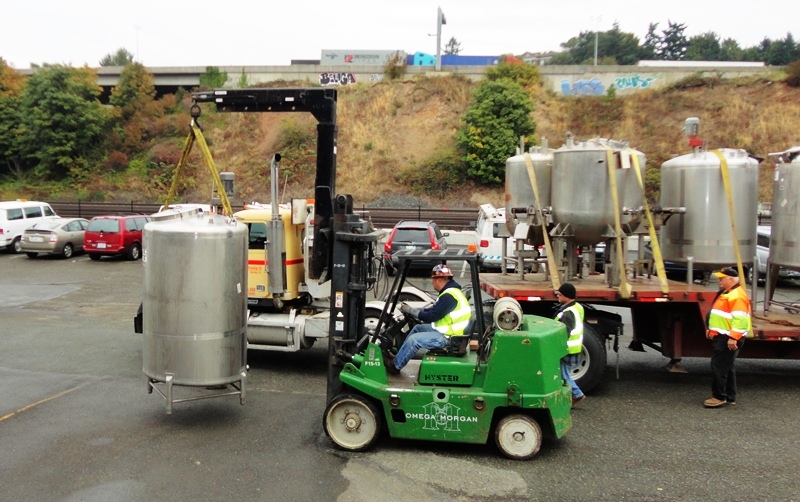 Carefully bringing the tanks into the distillery. 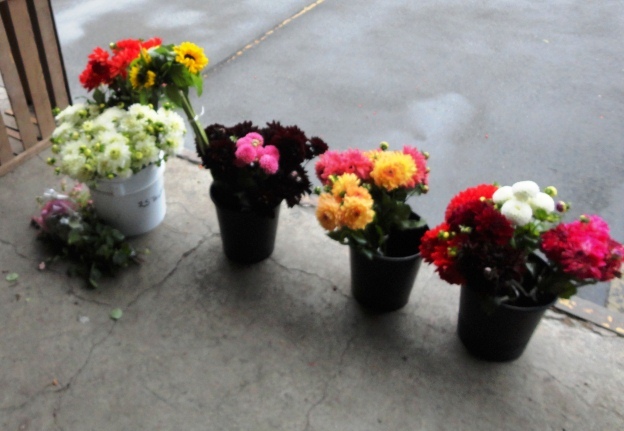 A special thanks to my new neighbors at the Seattle Wholesale Flower Growers Market. They greeted us warmly and shared their delicious homemade pumpkin bread. “What could go better than flowers and whiskey?” One grower stated. Good point. In my opinion, whiskey goes well with everything. What could go better than flowers and whiskey? With the milestone of moving completed, I’m now focused on accomplishing mundane tasks like organizing my space and properly hooking my equipment up to water and power.